2 images. Smog photo, 24 September 1947. 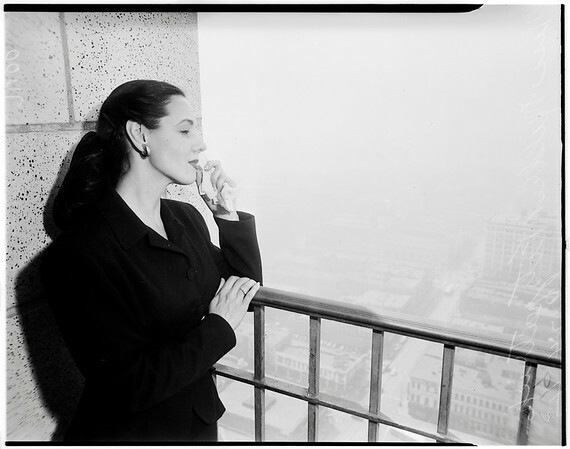 Miss Mildred Fitzpatrick (picture taken approximately 10:45 a.m. looking southwest from City Hall tower). (Sleeve reads: 9593 was 7600).